Research can be hard, and you should always remind yourself to stay positive. It requires long hours and tons of time studying and experimenting with no good results. In fact, you might find that you are asking the wrong questions all along. So you need to start from scratch. When you want to become superior in anything you venture in, it is going to require more than knowledge to ensure it is a success. 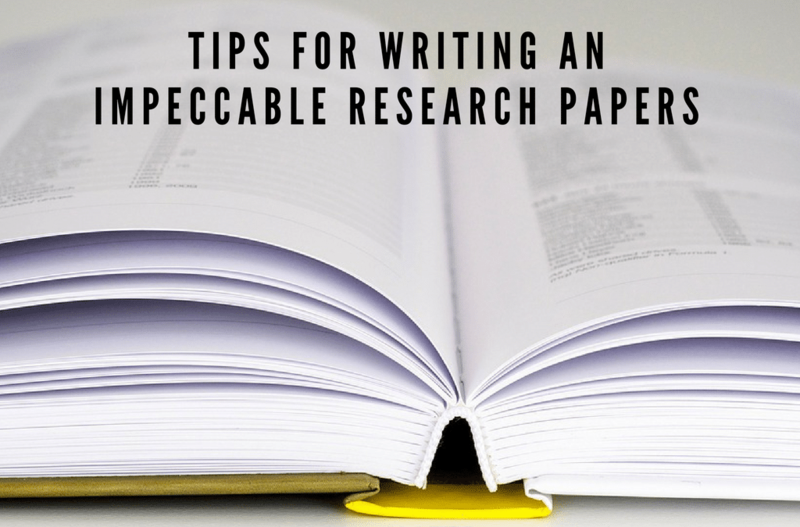 A positive start and belief that you are going to write a compelling and engaging paper is the first step that will help you come up with a great topic. So let us look at the things that make an excellent research paper writing. Writing a research paper follows a specified format. You need to follow the required guidelines and see which one fits best. The following structure is the most commonly used by researchers. Research writing goes through three formats namely: The General, Specific and The General. In the introduction, you begin with the general statement where you compile references and talk about the broad research field. Once you are done, by the end of the introduction, you need to get down to something more specific, which is the purpose. Purpose: A purpose shows what you are going to be writing about. This is where you put your thesis or hypothesis which outlines the intention behind your paper. The methods: What you did or what design you used, the procedures, approach, assumptions, data and more. Results: The research part shows the key findings or conclusions, the argument, and the accomplishment. By the time you are close to the end of the paper, you need to begin talking about the importance of the article, which becomes your discussion. Discussion/conclusion is the last part of a research paper. It usually includes points to applications/recommendations, interprets or extends results and also draws references. Remember a conclusion is a general statement that talks about the critical points in a paper. General, specific, too general structure, aids you to become a better writer. Each paragraph should contain an introductory or topic sentence and should be followed by examples based on the topic sentence. Typically, in a research paper, you might have “the research suggests that this and then you would follow up with three or four studies per sentence per study” representing what the first theme was in the first sentence. Insert one space after a period: Pretty self-evident but not fun to correct if you do not know that rule. Indent each paragraph with a tab. For each sentence, ensure every word counts and adds something or it is better to delete it. Thesis and research papers projects are long enough to try to eliminate words that are unnecessary. Avoid colloquial phrases, excessive verbiage (“in other words,” “the fact that,” “for the most part”), jargon, informal phrases and also vernacular phrases. Avoid using pronouns (this, there, it, that, they) because more often than not, the audience is confused/unclear about what you are saying. Not always, but it is better to be safe and clearly state what you mean. Instead of saying it, write it. They say, write John and Mary so that the audience knows who or what you are referring to. Make sure you replace pronouns with a particular phrase, even if you are repetitive. When moving from one paragraph to another, you should use connector sentences. The last sentence of one paragraph should naturally lead you to the next section thus allowing a natural flow. Often what we see is the second example which the subject comes before the object which makes the statement passive tense, thus reading becomes a little bit awkward. Use the correct formatting. When using et al. which refers to many researchers, you type et al. and, e.g., i.e., Often people forget the comma after the period. A number should always be spelled out when they start a sentence and also when they represent a value under 10. When you make any statement, you need to back it up with a quality reference or citation. Preferably multiple references. Data are plural. You should write the data are instead of the data is. The above tips should be able to help and guide a writer anytime he or she is faced with a research proposal writing assignment. The small mistakes make a paper unreadable, uninteresting and look unprofessional. Always strive to give an error-free document no matter its length. A research paper requires more time as compared to other academic term papers writing. Ensure you provide relevant details and go straight to the points. There is no need to add more words to increase the word count.